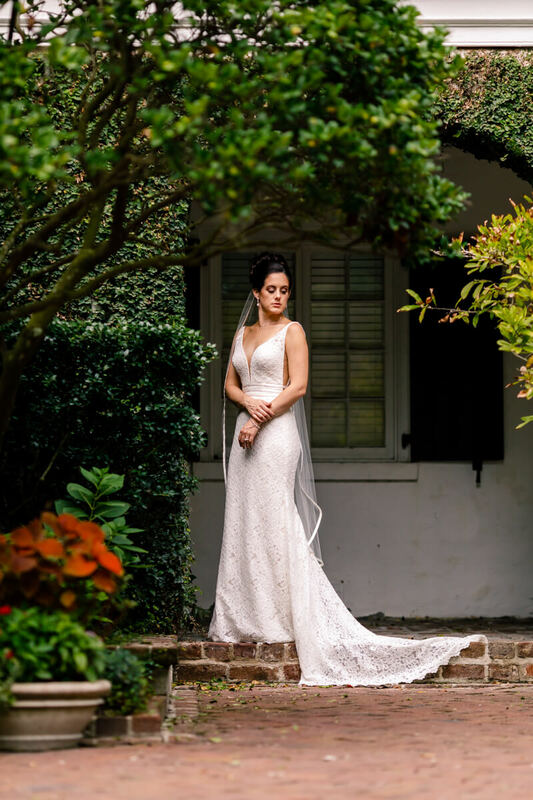 Hannah was having a destination wedding at The Thomas Bennett House in Charleston, SC. We chose the same venue for her Bridal Portrait because it went with her traditional vibe. The Hurricane that passed through on the day of her session was not going to stop her!